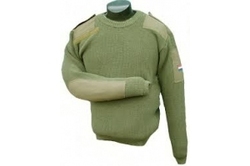 Pioneers in the industry, we offer army pullovers, army uniforms and army jerseys from India. 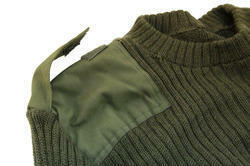 We manufacture Army Pullover which is made of quality raw materials. We offer our range of collar pullover in various sizes & colors & patterns to suit the every need of our esteemed clients. 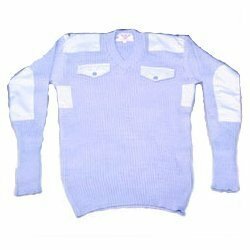 We offer Double pocket pullovers which are available in unique designs, colors and patterns. Our range of designer pullovers are subjected to stringent quality tests such as shrink resistance and color fastness to ensure their durability. We have a wide range of Army Jerseys which are colorful and beautifully patterned knitted winter wears. They come with V-shaped neck and full sleeves. They can be customized in terms if sizes, colors and designs as per the customer specific requirements.